Not sure what it is about September that puts me in a mind to consider happiness… maybe it’s that ever-looming anniversary of the attacks on New York City. And now we have April as the month of the bombings in Boston, so I imagine there will be expressions of grief, sorrow, and remembrance that will haunt many people every April. Lesser struggles are haunting me. 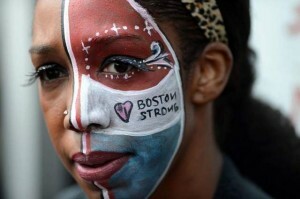 I didn’t experience the terror of the attacks in Boston. I don’t even know any of the victims personally. I can only add my small sadness to the pool of universal grief, say prayers for everyone involved, and continue to move through my own life. And for me, that means dealing with everything life throws at me with the tools at hand. As a Christian, perhaps the most important tool is prayer. But as a writer, I experience as much or more clarity through my work. This week, that work involves both realms—the artistic and the spiritual. Surely all art is the result of one’s having been in danger, of having gone through an experience all the way to the end, where no one can go any further. The further one goes, the more private, the more personal, the more singular an experience becomes, and the thing one is making is, finally, the necessary, irrepressible, and, as nearly as possible, definitive utterance of this singularity…. Therein lies the enormous aid the work of art brings to the life of the one who must make it, that it is his epitome, the knot in the rosary at which his life says a prayer, the ever-returning proof to himself of his unity and genuineness, which presents itself only to him while appearing anonymous to the outside…. But here’s the rub. As I continue my own dangerous journey, and it becomes more private, personal, and singular, it also becomes more urgent that I write about it. Or, on occasion, that I speak about it. 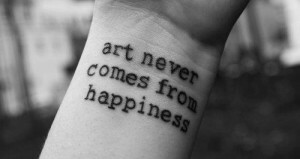 And maybe in making art, I will, as Rilke says, have some joy, some happiness, some dreams. 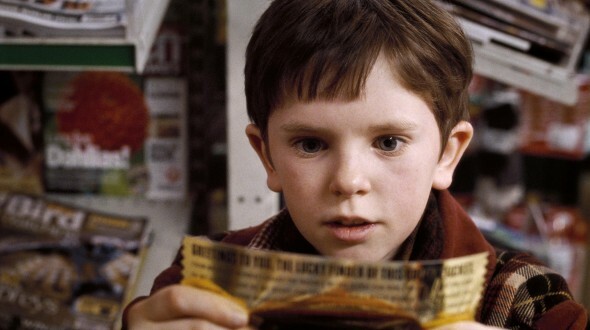 If you’re looking for something a bit lighter, check out Chris Braden’s weekly posts on his blog, “Happy Happy Monday.” I love his post today, “The Golden Ticket.” Maybe it’s just about opening the right candy bar…. Susan, this post was just what I needed! Oh, what dangerous, dangerous journeys we are on! Was looking for the “LIKE” button for your comment, Karissa:-) I love being on this journey with you, my dear friend and soul mate.